Warner Bros. 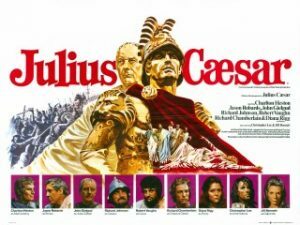 Acquiring Right For Epic Film of ‘Gaius Julius Caesar’!!! Warner Bros. is wanting to purchase a project on ‘Gaius Julius Caesar’ based on a story pitch. They are wanting Chris Boal to write and Jonathan Liebesman to direct. Boal really hasn’t done anything besides work on a press kit and Libesman is responsible for such disasters as ‘Battle: Los Angeles’ and ‘Darkness Falls’. And supposedly they want a different original version of the story with a major star to play Caesar. The writer Chris Boal is the brother of Mark Boal who wrote ‘Hurt Locker’. I can’t make this up. Not sure how this will turn out, but I’m guessing AWFUL. I’m sure Brad Pitt will be a shoe in for this role. John Boyega Joins Kathryn Bigelow’s Detroit Riot Project!!! TMNT Casts Johnny Knoxville and Tony Shalhoub!!! This entry was posted on Wednesday, July 13th, 2011 at 2:01 pm	and is filed under Film, News. You can follow any responses to this entry through the RSS 2.0 feed. You can skip to the end and leave a response. Pinging is currently not allowed. The last time I checked, we make our living off crazy.